Three high school students are still dumbfounded after they were arrested this past Thanksgiving eve while waiting for a school bus. The Edison Tech high school students were on their way to a basketball scrimmage as part of a group of about a dozen teens who had been instructed by their coach to wait for the bus in downtown Rochester. 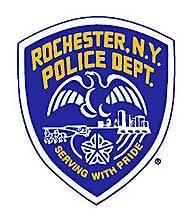 A Rochester police officer arrived when he saw the group of teens gathered on the sidewalk, and ordered them to disperse. Students attempted in vain to explain they were headed to a basketball game. “We was just waiting for our bus and he started arrested us,” one of the students who was arrested, Wan’Tauhjs Weathers, 17, described. “You’re just downtown minding your own business and the next thing you know, anything can happen,” another student who was arrested, Daequon Carelock, 16, explained. The boys’ coach, Jacob Scott, arrived as Carelock and Weathers, along with 16-year-old Raliek Redd, were being handcuffed and placed in a police cruiser. Scott says the officer’s sergeant arrived and proceeded to threaten him with arrest as well. “One of the police officers actually told me, if he had a big enough caravan, he would take all of us downtown,” Scott said. The arrest report states the students were obstructing “pedestrian traffic while standing on a public sidewalk…preventing free passage of citizens walking by and attempting to enter and exit a store…Your complainant gave several lawful clear and concise orders for the group to disperse and leave the area without compliance,” although it gives no indication of disorderly conduct or foul language. WHEC reports the owner of a store located near where the boys were arrested had previously complained to police about loiterers, prompting them to monitor the area. The boys were able to make it home for Thanksgiving after their families posted $200 bail, and now await a December 11 court date where they hope the charges will be dropped.